One evening, Luisa Ramos said she had a conversation with her young daughter who casually asked her about her college experience. The question was simple enough, but it made a lasting impact on her future, Luisa said. Although her husband had received his bachelor degree, Luisa said she struggled to find the correct response about her own education. Always eager to instill the importance of a college education in her daughter, Luisa said at that moment she had run out of excuses. When she returned in 2015, Luisa believes that her experience with South Texas College was in fact a journey to success despite being out of school for more than 13 years. Gaining experience in the real world was an eye opening experience because she realized she was earning significantly less than those with degrees despite her work experience, she said. It took more than two years, but Luisa said she succeeded and received her Bachelor of Applied Science in Organizational Leadership (BASOL) at South Texas College. While working for her degree, Luisa said she had the privilege to be a part of STC’s “Examples of Excelencia!” in 2017. Exelencia in Education launched Examples of Excelencia in 2005 in an effort to bring together educators who were committed to Latino student success in order to reshape the national dialogue. Every year, Examples of Excelencia identifies four evidence-based programs across the country that increase academic opportunities and improve educational outcomes for Latino students in higher education. STC was named among the top institutions in the nation for its BASOL program, and Luisa says her experience there gave her the confidence to apply for a dream job with a local school district. Fast-forward more than one year later and Luisa says she is contemplating her master degree likely by January 2019. 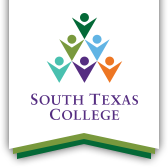 South Texas College is one of three community colleges approved by the Texas Legislature to offer bachelor’s programs. STC offers four bachelor’s degrees including Technology Management, Computer and Information Technology, Medical and Health Services Management (MHSM), and Organizational Leadership. Two of the programs, Organizational Leadership (BASOL) and Computer and Information Technology (CIT), are competency-based, giving students an opportunity to leverage prior learning experience in order to accelerate course completion through the program. More competency-based programs are on the way. The college has already begun vying for a grant from the Texas Higher Education Coordinating Board to convert its MHSM program into a competency-based degree.